The development of academic skills (see full Glossary) is very closely related and intertwined with the development of cognitive, language, motor and social/emotional skills. It is very important that you monitor your child’s development, in order to make sure he or she has the developmental skills that are necessary and crucial to the development of academic skills. For example, your child will not be able to learn how to read, if he or she does not understand that words and letters are symbols that represent something. 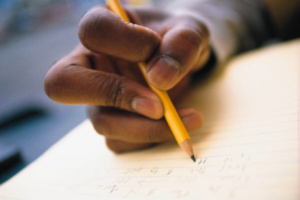 Similarly, if your child’s fine motor skills are not well-developed, it may be difficult for him or her to hold a pencil properly, and therefore learn how to write. knows that letters make words and that words are made of letters. 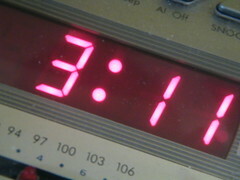 can tell time, with a digital clock (Fig.2). A child’s view of him or herself will greatly influence if and how fast he or she can learn something. For example, your child’s social and emotional skills are closely related to his or her ability to learn how to read and write. Although children at this age know a lot of quantitative concepts, they may still struggle with the concept of “zero.” It is very important to keep that in mind, when introducing mathematical concepts to children this age. Reading to your child will greatly influence how he or she will approach learning to read in the future! Children who are read to enjoy the process of reading more and develop many pre-reading skills, such as associating sounds with letters, much earlier than children who are not read to. Some kindergartners are starting to use rules of grammar when writing. Some will put a period at the end of a sentence and others will start a sentence with a capital letter. A good number of kindergarteners will also spell their names with a capital letter.